You may not be hunting ducks are deer, but you'll certainly be on the prowl looking for game this Halloween. 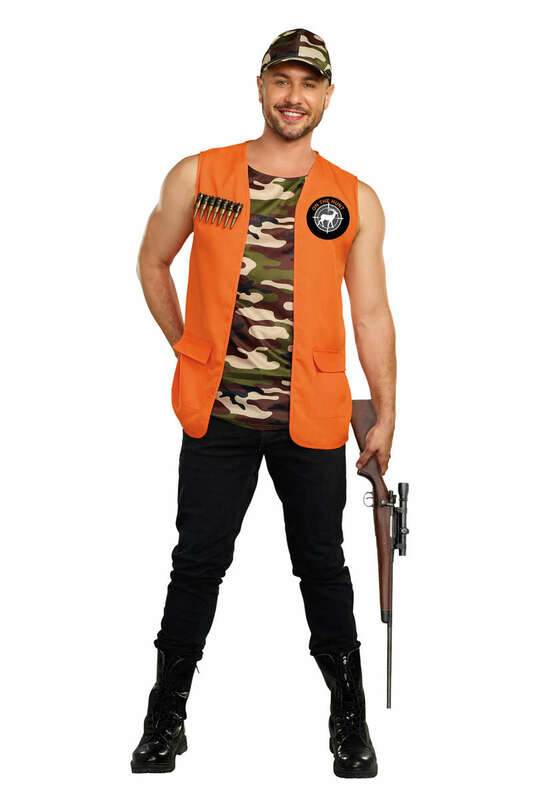 Dress up in this hunting theme costume, from Dreamgirl, which includes hunting vest with bullet strip and "On The Hunt" patch, camouflage top, and matching hat. To properly care fo your On The Hunt Men's Costume, the designer highly recommends that you hand wash separately from other garments. This item is proudly designed and manufactured by Dreamgirl. There are no reviews yet for On The Hunt Men's Costume. You can be the first to write one!